This morning while watching my Brussels-Griffon play with his Goldendoodle friend Marley, got me thinking about how our canine friends can be so aesthetically different from one another, and how that came to be. After a little research, we have discovered that just like us humans our canine friends have gone through the stages of evolution originating from the grey wolf and evolving to the various breeds of man’s best friend we have come to know and love today. As depicted in the infographic below the grey wolf’s heritage is broken into 11 different families ranging from toy dogs , to hounds, to the great mastiffs. 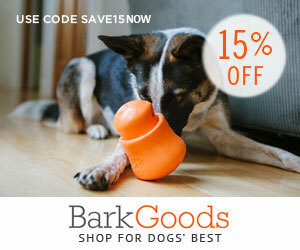 Today there are over 400 breeds of dogs, further characterized into 3 groups based on the size and shape of their skulls. Dolichocephalic skulls which assign the largest portion of the skull to the nasal cavity is found in dogs bred to sniff and hunt. Mesocephalic skulls, the most common, have equal proportions of skull to nasal cavity. Lastly brachycephalic skulls, the flattest of the three, are characterized with the largest proportion of the skull being the cranium and bearing a short to nonexistent nasal cavity. 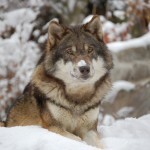 Over time, the original wolves changed; the grey wolves unknowingly genetically manipulated their own population. At which time us humans intervened, tamed, and selectively bread these wolves to have selective traits and characteristics eventually evolving into the dogs we own, and love today. Now that we have established the origins of our canine counterparts, we must touch base on a more serious note; Although evolution and breeding has steered away from the original grey wolf, we have seen that over-breeding may actually cause a disposition for genetic disease and perhaps we should be breeding our beloved canines with other breeds back towards their originators, the grey wolves, for a more healthy and long life. 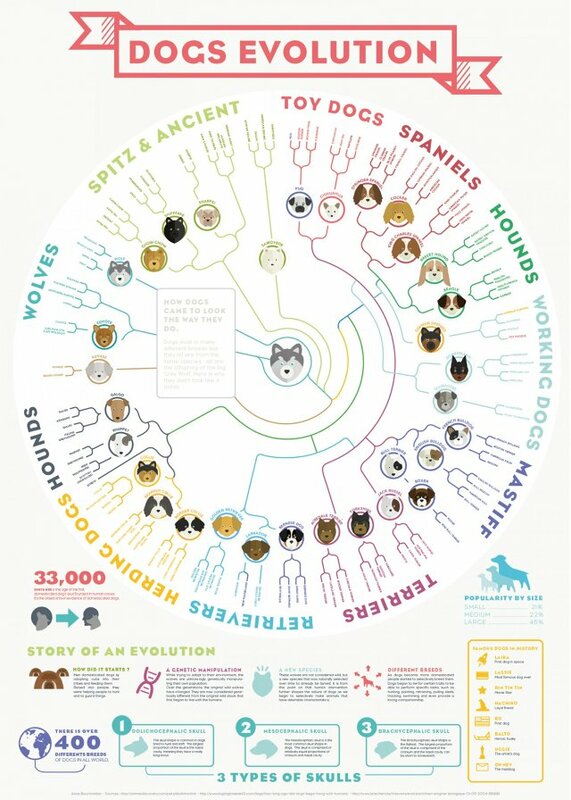 See the infographic from Co.Design designed by Alice Bouchard about the evolution of Canines for an interesting yet informative quick read.